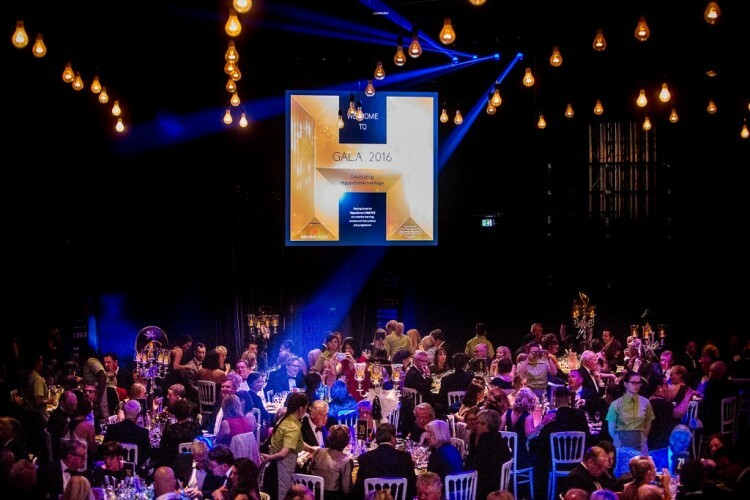 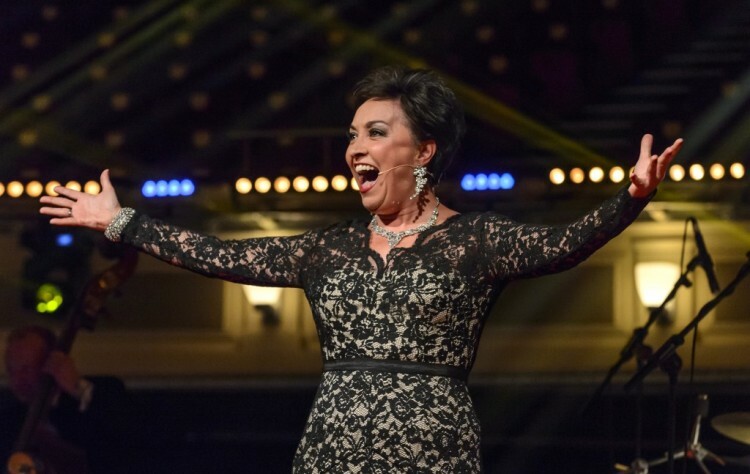 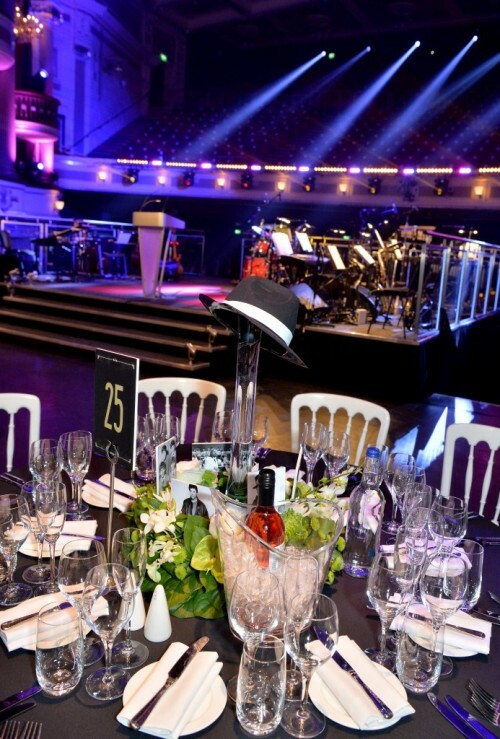 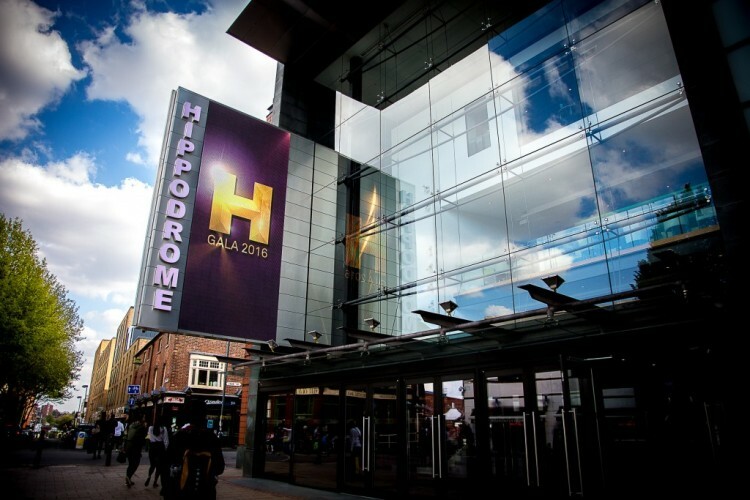 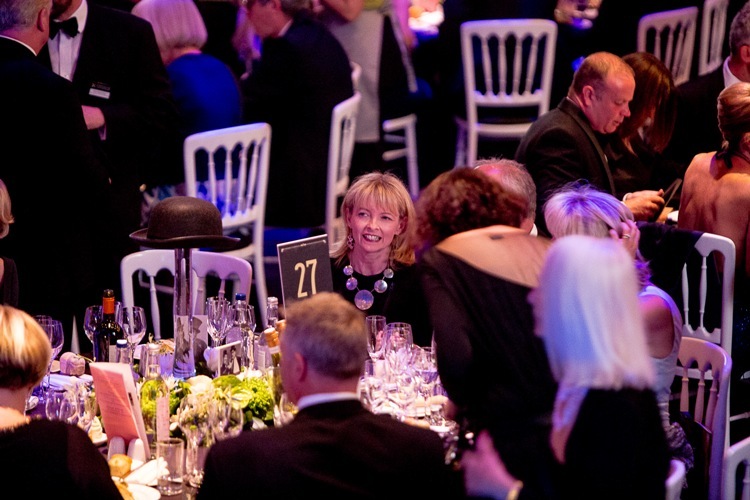 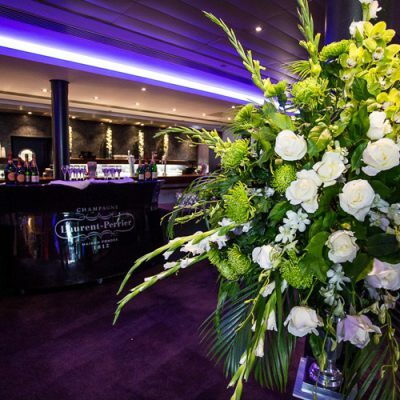 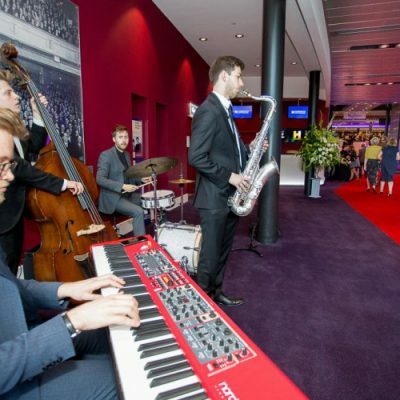 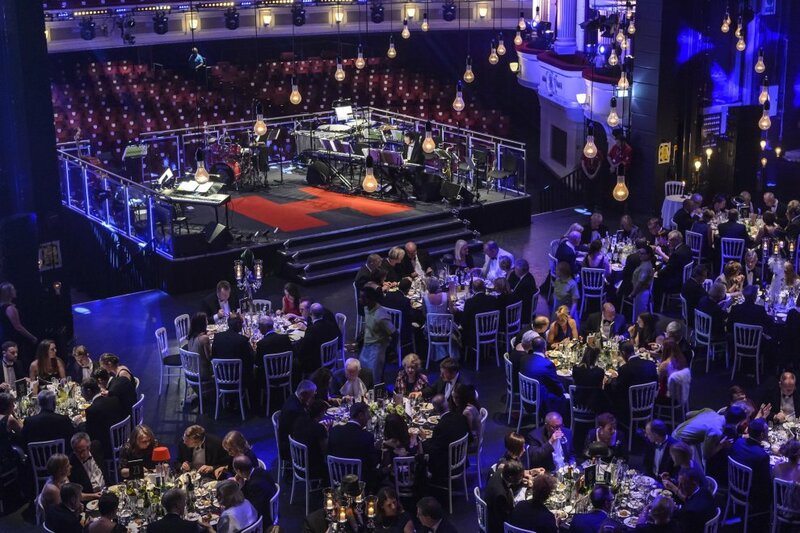 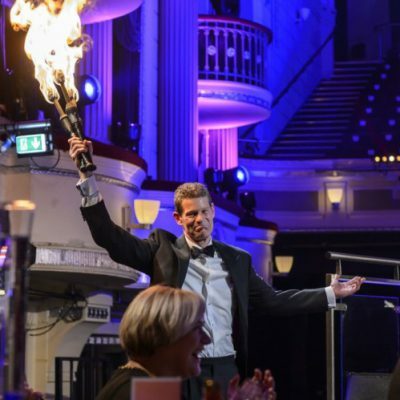 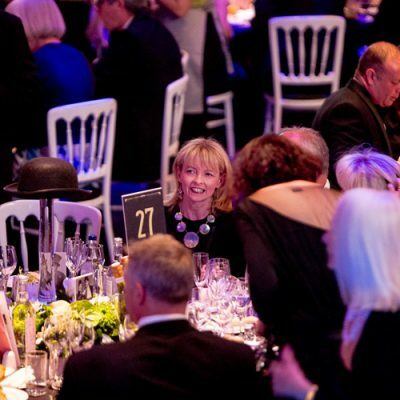 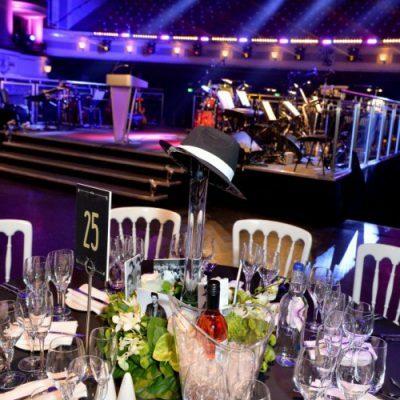 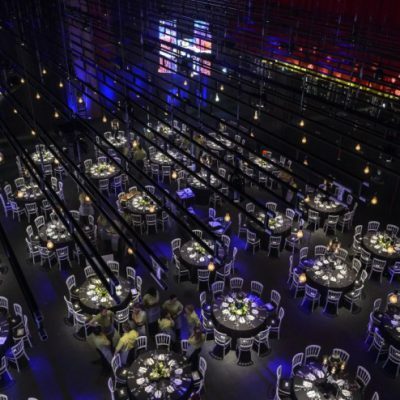 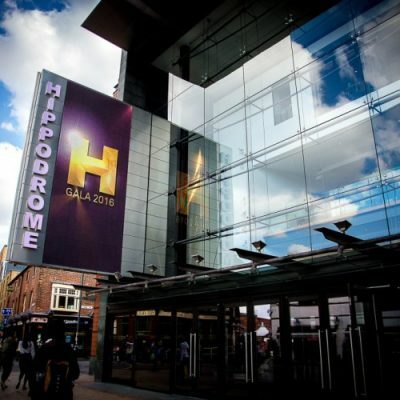 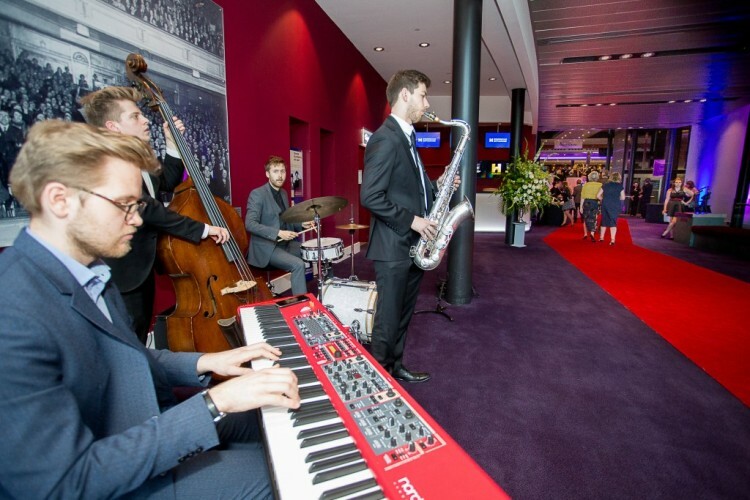 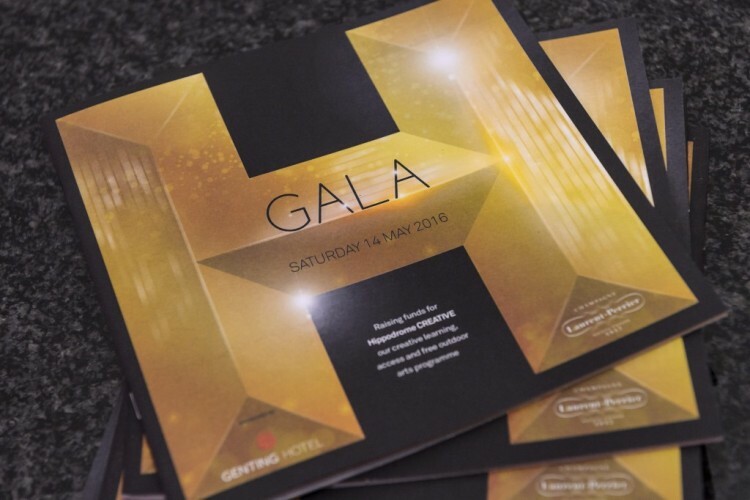 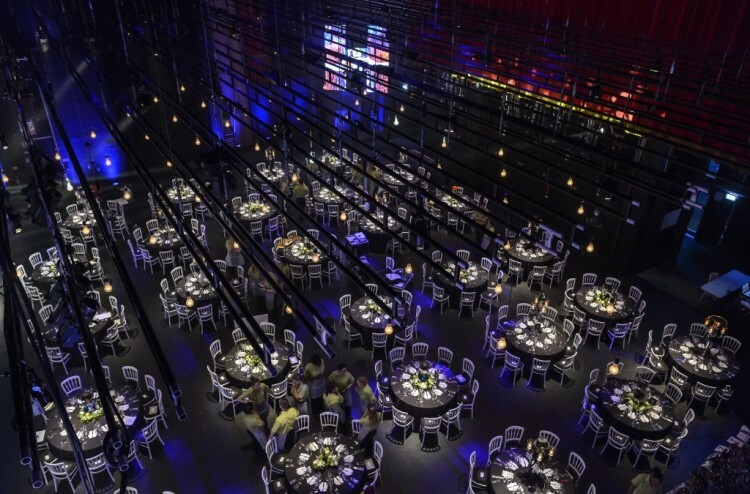 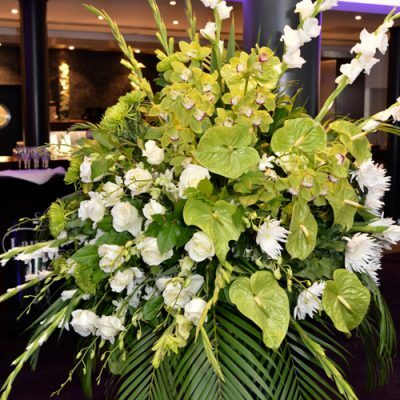 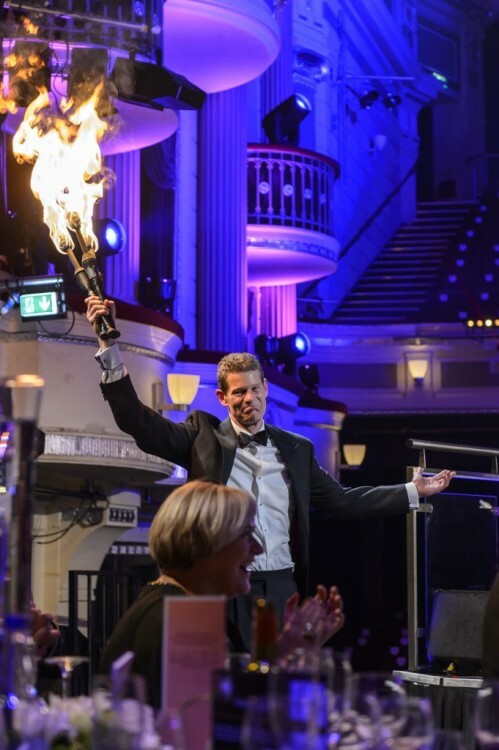 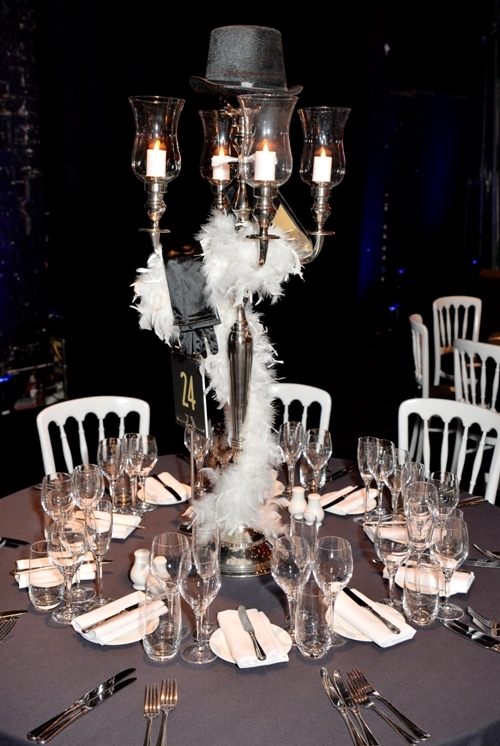 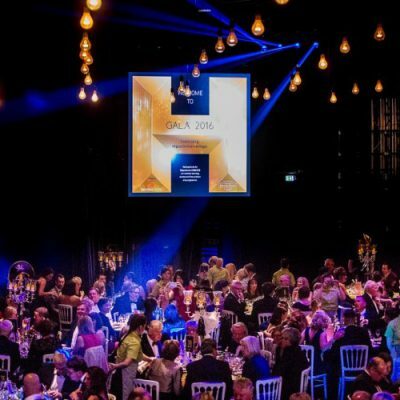 In 2016 we were asked to design table centrepieces and large floral installations for the theatre’s Gala Dinner that takes place on the stage. 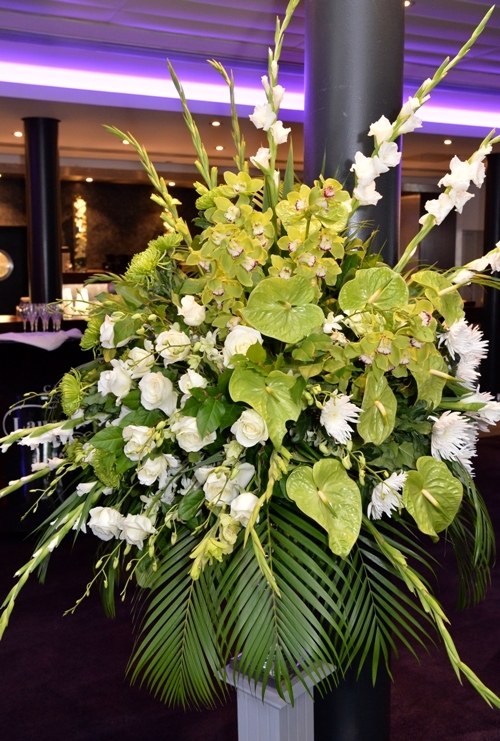 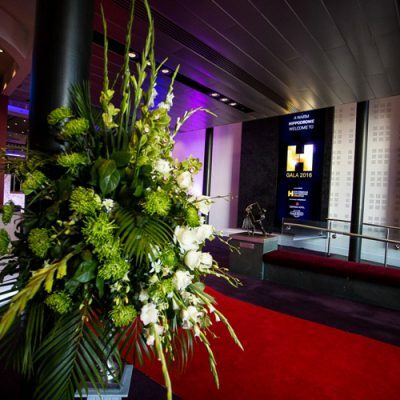 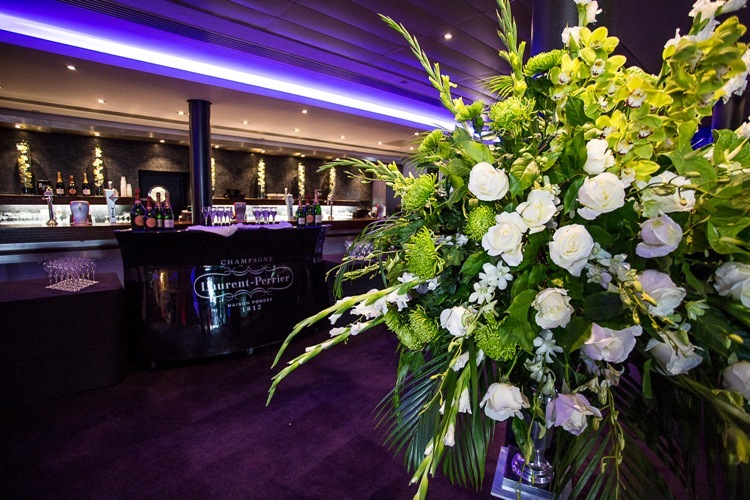 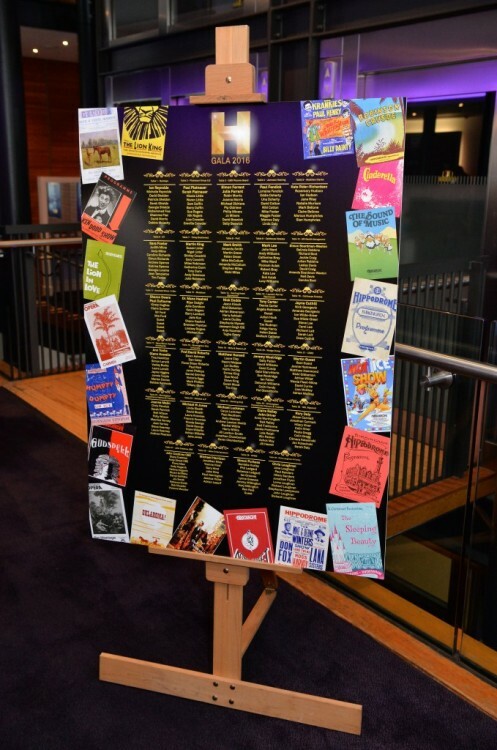 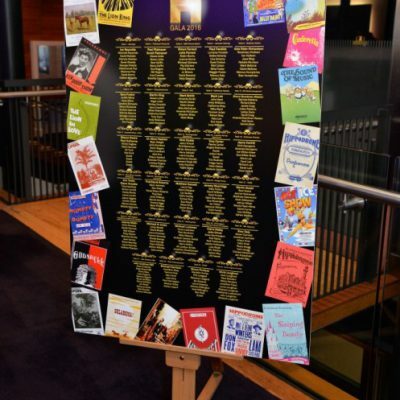 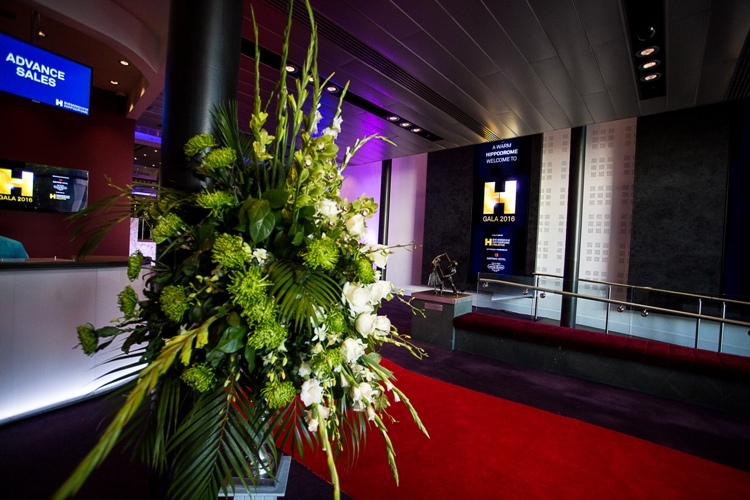 Based on extensive research of the theatre’s heritage, our brief was to depict the variety of acts that have appeared at the Hippodrome over the last 116 years; we also had to incorporate a floral element that tied in with the large flower displays. 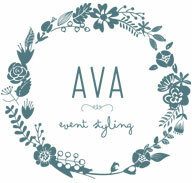 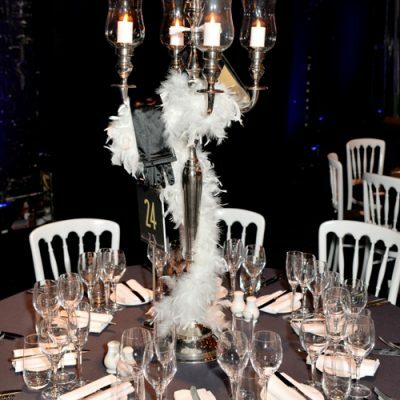 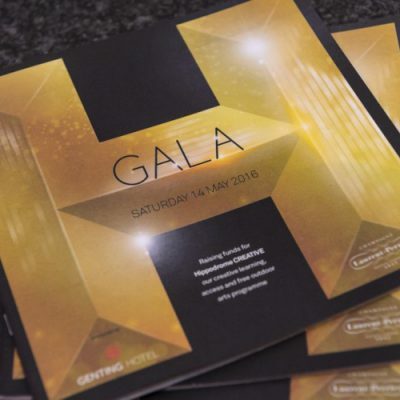 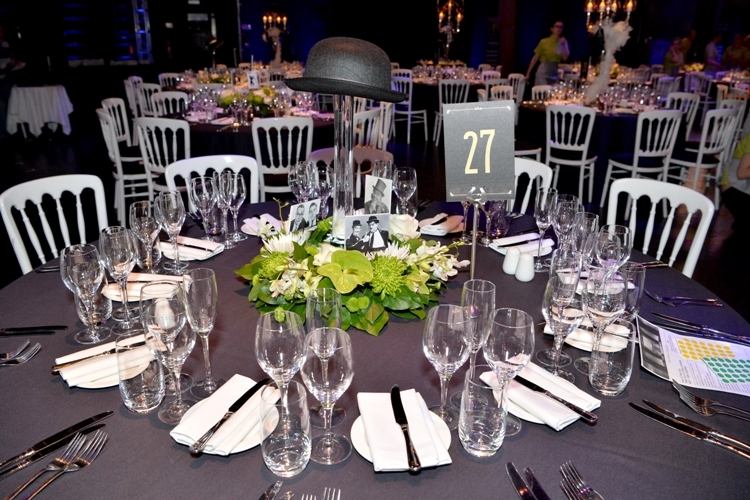 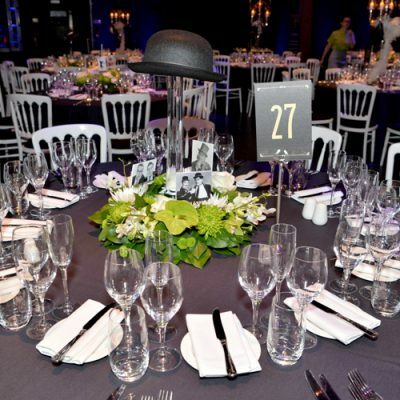 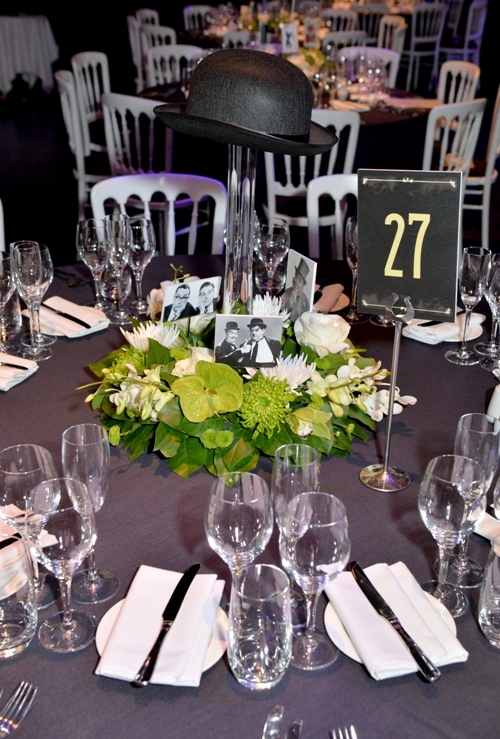 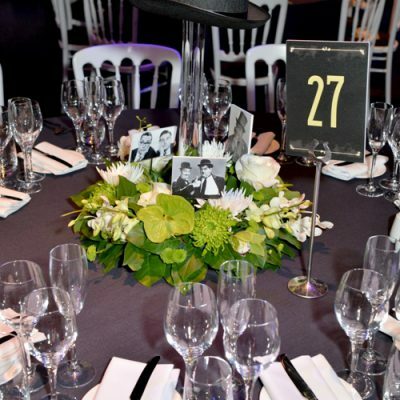 Our solution was to design each centrepiece around a different style of hat worn by the performers over the decades but using a colour pallette of only black, white and lime green. 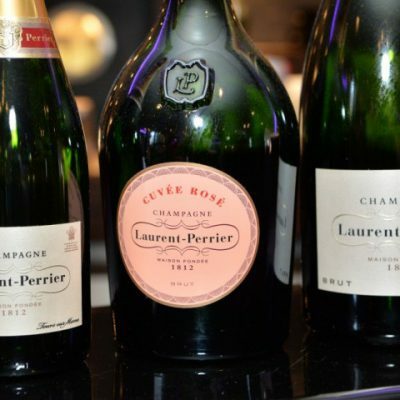 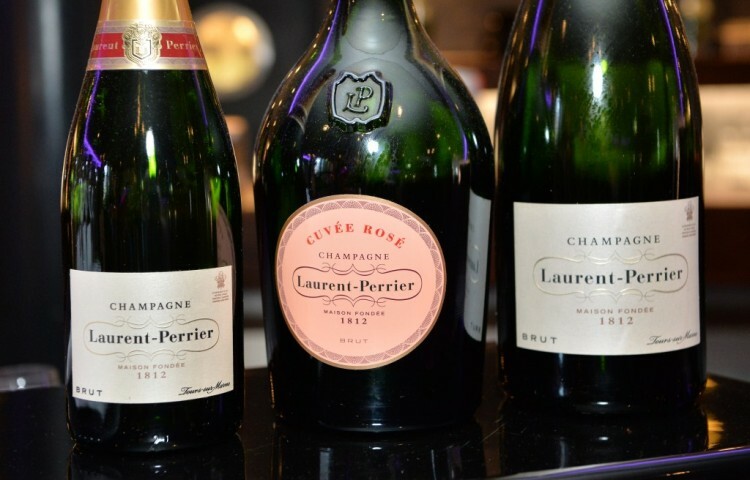 Is was quite a challenge but then that’s what we thrive on!